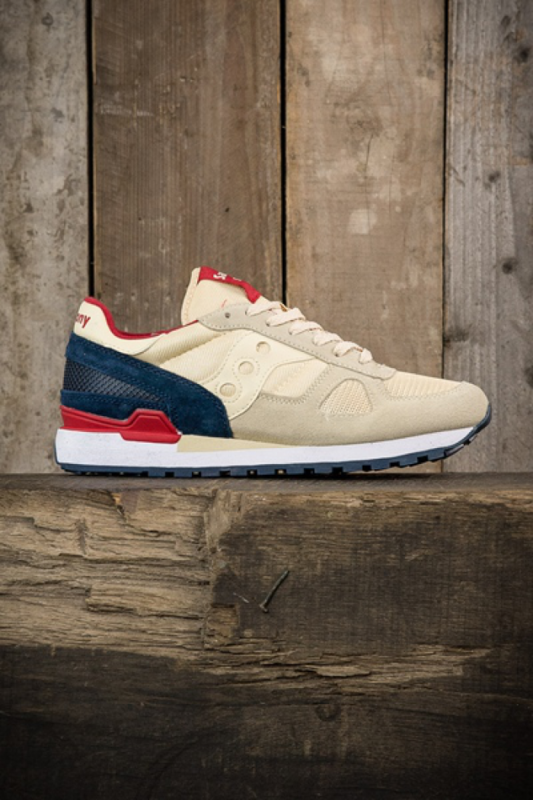 The Saucony Shadow Original "Parfait" dresses the retro classic in a Cream / Navy Blue / Red color scheme. The upper sports a combination of suede, textile, and mesh material to increase support, breathability, and perfect durability. 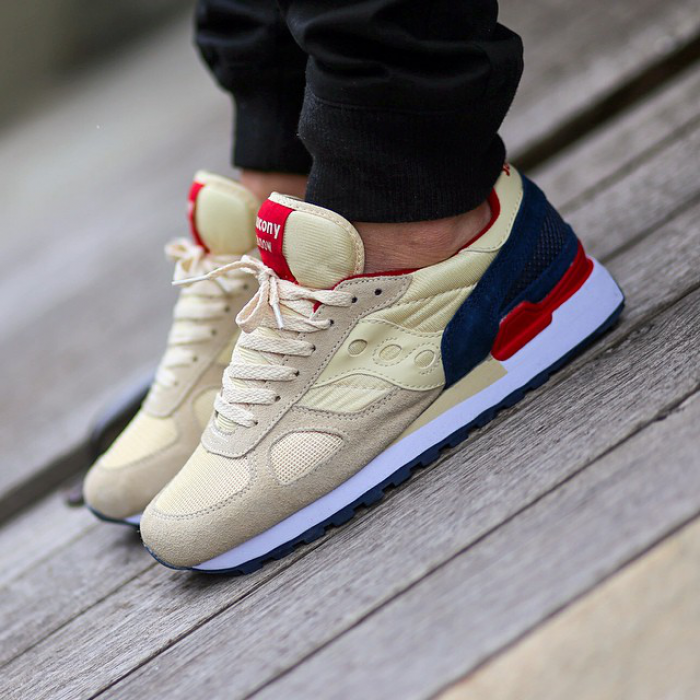 Cream colors the toe box and fades it's way through the side panels until it reaches a Navy Blue suede back heel. White midsoles are sandwiched between rubber Navy outersoles and Red accents the inner lining, branding, and backstay. EVA midsoles promote extra shock absorption and all-day comfort for the runner and/or sneaker lover. Show off this traditional lace-up front low-top which provides premium fitting for every stride along the way while the retro shape keeps your feet in style. One of my favorites from their 2015 Spring Collection.. match my style and strut your pair today!